It was originally named ‘farmer’ as it seemed to affect low quality sites- a lot of content farms. Panda affects sitewide not just individual pages- unless you have a subdomain/blog. 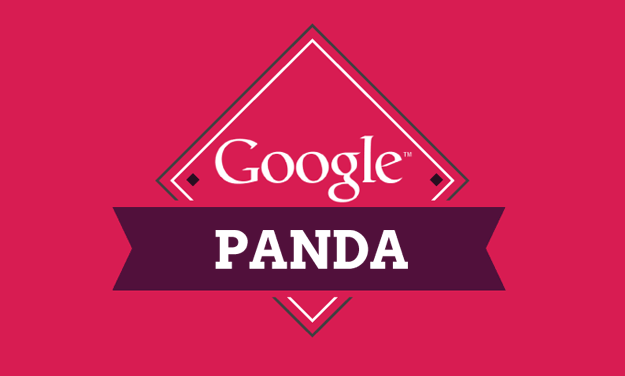 Panda was brought in to stop the low quality content sites reaching the top of the rankings. Panda is one algorithm that receives regular updates/ roll-outs some which affects more than other. Each Panda update is a chance for penalized sites to resurrect themselves in the rankings whilst other sites which slipped through the net last time can get hit. The Panda 4.1 update was not deemed a major and so was rolled out by Google anonymously. It was clear however from the SEO community that many businesses saw clear effects from the update. Google announced the update would affect around 3-5% of search queries depending upon location. Here at HeadRed we had two clients who saw relatively large changes due to the Panda 4.1 algorithm. The first was a recent addition to our portfolio who came to us with a lot of spammy backlinks & low quality/thin content on the website. The second client has been with us for a while and we have been steadily working to move them up the rankings. For both we saw positive changes in their ranking positions following Panda 4.1: Client 1) Strategy was to do a sitewide cleanup including removing spammy backlinks, introducing high quality headers, removing duplicate content and creating new, fresh content. Client 2) Used strategy to optimise landing pages with high quality local based content. Due to the Panda 4.1 update we saw improvements in both ranking positions, which was highly rewarding after a push to improve the quality of the content on the sites. Client 1 rose dramatically to page 1 for their key target phrase, and Client 2 progressed up the rankings to appear in both places listings and in page one results for a number of their key target areas. Both the changes were the result of the re-crawling of the sites to review any changes made since the past update. 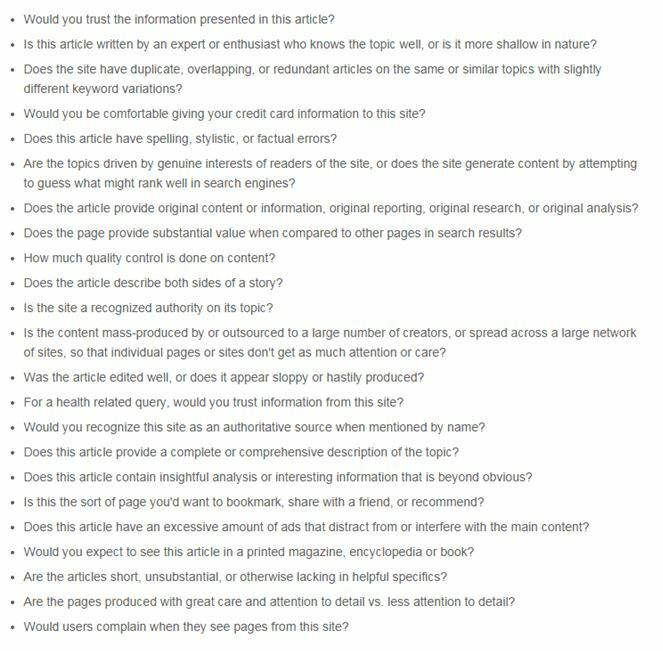 A big part of the content check is carrying out a duplicate content check – here you are both looking for any content which may have been duplicated elsewhere on the internet, but also content which has been duplicated on your own website (e.g. where your should be using a canonical tag). With Client 1, their e-commerce site is built on a bespoke system which was generating duplicate content issues in category pages so we implemented canonical tags to remove this as an issue. As part of the campaign strategies we regularly reviewed our client pages content, tracking if any duplicate if found and if so if we are the original producers of it. Where necessary we update/rewrite current content onsite which Google may perceive as duplicate and so penalise for. Another thing you are looking for are pages with thin content on. Thin isn’t necessarily in terms of the amount on the page but also the quality/value of the content on the page to the viewers. Because of this it’s important to review content and rewrite any pages which are lacking, or have been created solely for SEO purposes i.e. keyword stuffed. Instead working on creating useful pages that people want to read. Again, for Client 1, we re-wrote the majority of the content, particularly on category pages which was either duplicated or thin. In order to ensure that your progress continues, and you’re not adding more content to the site which may result in penalisation it’s important to set up a content strategy which ensures that each piece of content going on the site is unique, useful and of a decent length. Another consideration with a content strategy is setting up a plan to regularly post this quality content so there is always something fresh onsite. Looking across the SEO sphere the impact of Panda 4.1 was quite large, particularly for those sites which had been aggressively hit by Panda 4.0, with the 4.1 update came a sigh of relief from all those SEOs who had been working. We’ve heard a Penguin has just landed so we will update you on our findings on this latest release in the next few days.